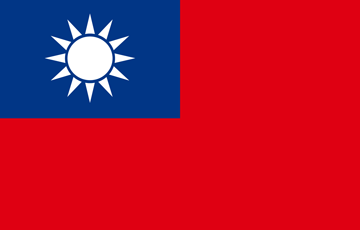 The Republic of China (Taiwan) was founded in 1912, making it the first democratic republic in Asia. In 1949, the government moved to Taiwan and maintained jurisdiction over an area encompassing the islands of Taiwan, Penghu, Kinmen, Matsu, Dongsha, Zhongsha, and Nansha. 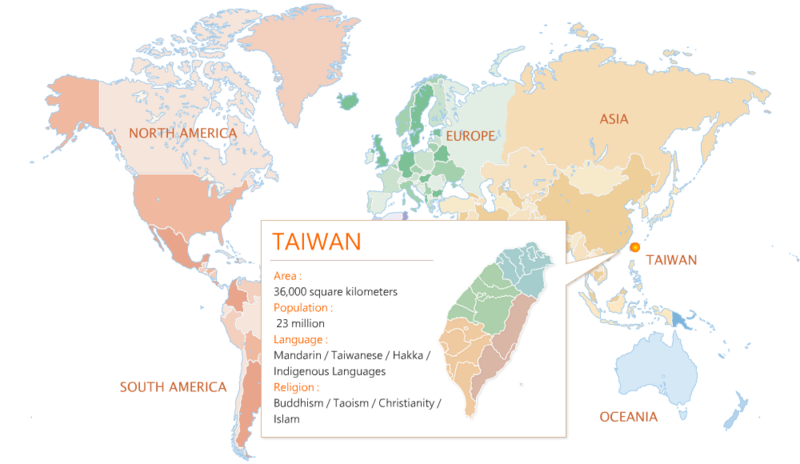 Taiwan lies on the western edge of the Pacific "rim of fire," and continuous tectonic movements have created majestic peaks, rolling hills and plains, basins, coastlines, and other natural landscapes. 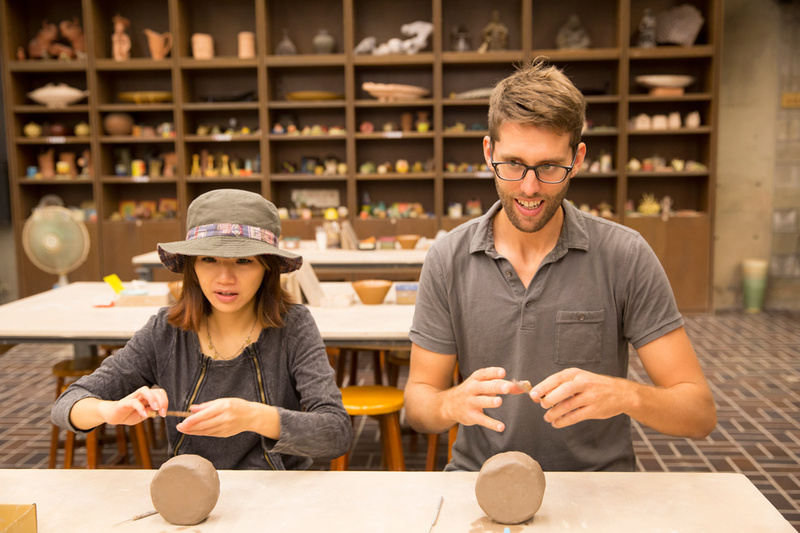 Taiwan's tropical, sub-tropical, and temperate climates provide clear differentiation between the different seasons. There are rare or endangered species of wildlife on the island. Among these are the land-locked salmon, Taiwan serow, Formosan rock monkey, Formosan black bear, blue magpie, Mikado pheasant, and Hsuehshan grass lizard. The Taiwan government has established 9 national parks and 13 national scenic areas to preserve Taiwan's best natural ecological environment and cultural sites. 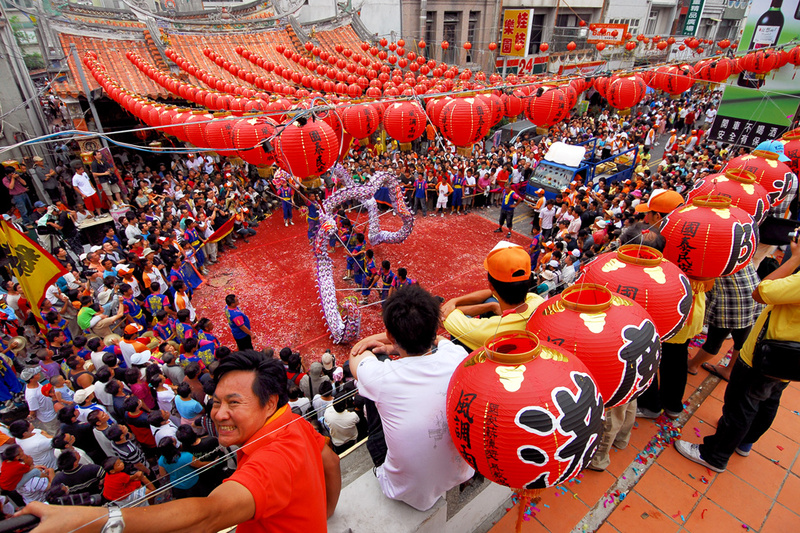 There are various ways to discover the beauty of Taiwan. For example, trekking in the magnificence of the cliffs at Taroko Gorge; taking a ride on the Alishan Forest Railway and experiencing the breathtaking sunrise and sea of clouds; hiking up to the summit of Northeast Asia's highest peak, Yu Mountain (Yushan). You can also soak up the sun in Kending (Kenting), Asia's version of Hawaii; stand at the edge of Sun Moon Lake; wander through the East Rift Valley; or visit the offshore islands of Kinmen and Penghu. It's fun in capital letters as well as an awesome journey of natural discovery!